I Bought These Socks in 1983! So as you can see this is a blog of deep thought and emotion. 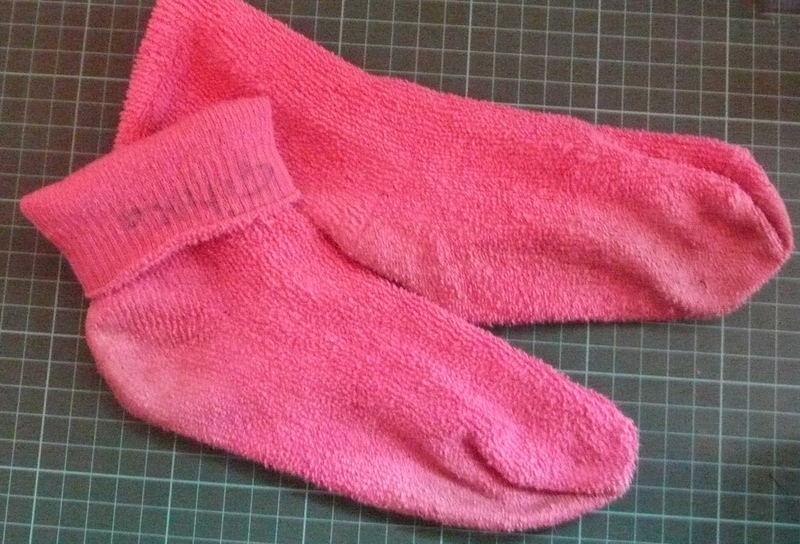 Today I am going to introduce you to the neon-pink stretch towelling socks that I have been wearing for 28 years. Not every day, probably not every week, but enough to say they have been worn on regular occasions when my ensemble as needed a hint of bright pink! If you look very carefully at the sock in front, you will see written upside down Gitika…that was written in permanent marker in 1983 when I went to a camp in America and all my clothes had to be marked. I still cannot believe they have lasted so long as I have washed them and worn them hundreds and hundreds of time. I wonder where I bought them? Any one else got any really old socks in their sock drawers. Amazing I did not lose one as I throw away a carrier bag of lost odd socks every couple of years, and am always buying new socks. Where do all those odd socks go? I think there is a special heaven for odd socks and every so often when you see a shooting star in the sky a sock is re-united with its mate. 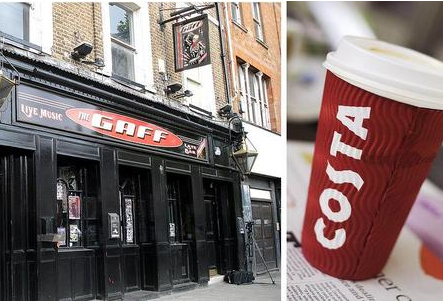 There is a new Costa Coffee shop in Holloway Road…..where the old punk pub was next to James Selby. I went in there yesterday and they were playing Pat Methane! Blimey! I love this track it always makes me feel like I am in a car with the top down going fast down the freeway, in the flat plains of the US of A, with the wind in my hair, not a care in the world! I have see Pat Methane( he’ s so hot!) twice live, amazing group of players…the second time we had tickets so far back we could hardly see, we met some sort of friends in the interval and one of them worked for the record company and happened to have two spare tickets right up front so I spent the second half looking up Pat’s nose….wow! the word on the street was in between gigs he used to go down Ronnie Scott’s in soho and play chess downstairs with Lyle Mays. Bet Pat don’t have many hobbies, appart from music. Wow- You’re really socking it to us.